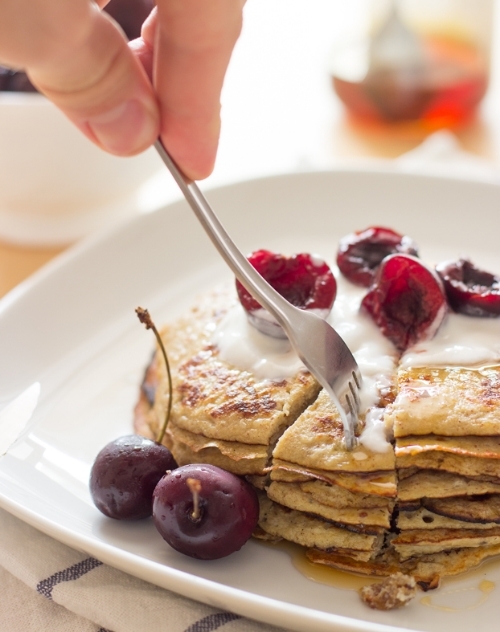 My new FAVORITE healthy pancake recipe as found on Hurry The Food Up. Breakfast can't get any easier than this! I am currently loving adding cinnamon, turmeric, and chopped walnuts to mine. Yum! Give them a try!